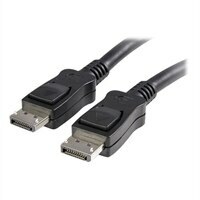 Dell DisplayPort 18-inch CableThe Display Port Cable is a perfect accessory for your Dell™ Projector and Professional Monitors. This Display Port Cable is used for display port connection of your projector as well as professional monitors and measures 18-inch length. This product has been tested and validated on Dell systems. It is supported by Dell Technical Support when used with a Dell system. The Display Port Cable is a perfect accessory for your Dell™ Projector and Professional Monitors. This Display Port Cable is used for display port connection of your projector as well as professional monitors and measures 18-inch length. This product has been tested and validated on Dell systems. It is supported by Dell Technical Support when used with a Dell system.